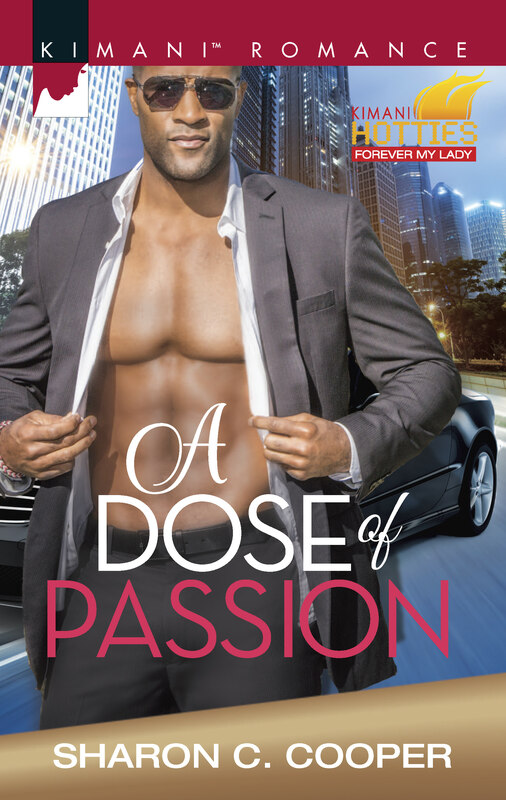 Here’s another sneak peek from A DOSE OF PASSION. Enjoy! He pulled her to his body and she swallowed hard at their closeness. His familiar scent washed over her like a loving caress, her self-control weakening. She might have thought about him all evening, but her thoughts hadn’t taken this route. Never had he regarded her with such desire swimming in his eyes. His gaze held hers but quickly moved to her lips. It was as if he was contemplating his next move. He lowered his mouth closer to hers, but then he pulled back slightly. She wanted to scream, Kiss me already, but instead she waited. 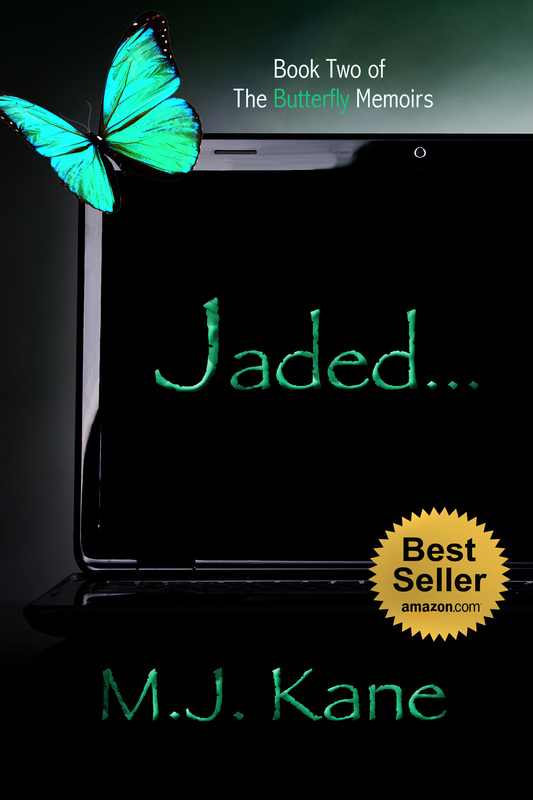 His large hands cupped the sides of her face and he mumbled something she couldn’t understand. Before she could speak, he captured her lips in a searing kiss. Her thoughts jumbled inside her head. She didn’t know what had gotten into him, but whatever it was, she was all in. He kissed her with an eagerness that left no doubt they wanted the same thing. At the moment, she didn’t care that he wasn’t looking for anything long-term. All she knew was that she needed him, desired him right then and there. 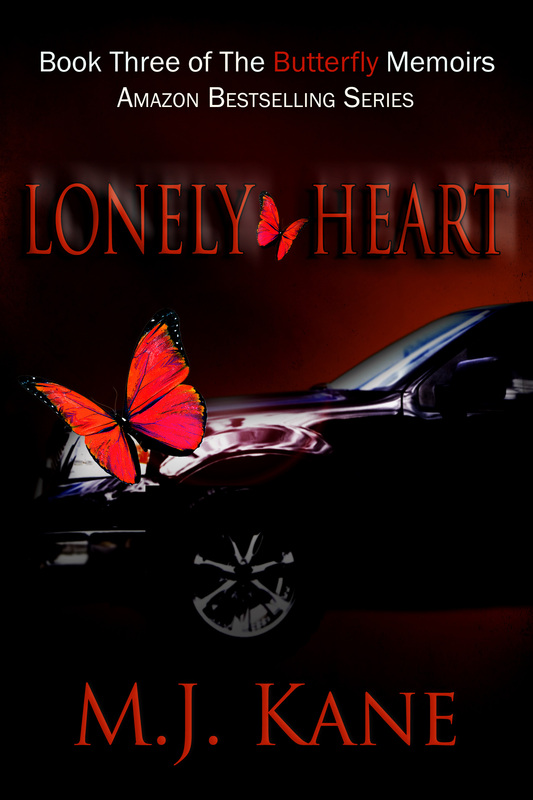 Join me in welcoming author Heather M. Gardner to my blog! 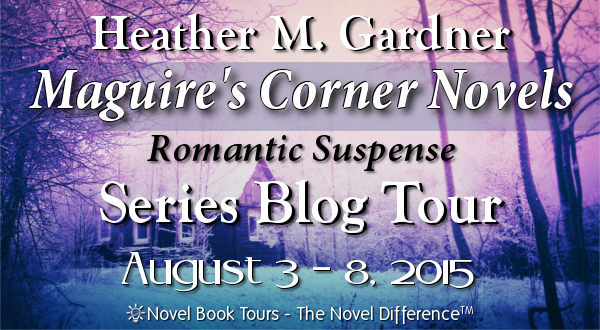 Heather is on a series blog tour through Novel Book Tours and my site is one of her stops. AND she has a gift card giveaway going on (see details below)! Ignoring a recent trauma that affects her everyday life, ER Doctor Kate Maguire engages in some high risk activities, but these situations aren’t enough to feed her edginess. She needs something more. 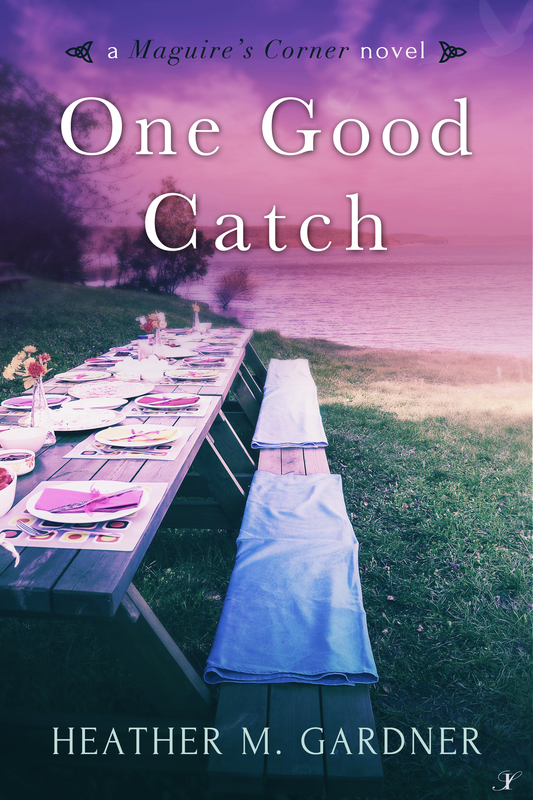 When her brother’s high school best friend comes back to town, it’s her chance for a ‘no strings attached’ fling with the man who still headlines all her best dreams. Rhys MacGrath’s days of one-night-stands are long over. The pro-football player might be side-lined at rehab for a shoulder injury, but that doesn’t mean he can’t admire and desire the all-grown-up, so-damn-hot, version of the tomboy he once knew. His sudden interest in Kate might aggravate his best friend, but it’s her indifference that drives Rhys crazy. Everything heats up when Kate’s nosy nature puts her in the line of fire of an arsonist forcing Kate and Rhys to deal with more than just the sparks igniting between them. Kate continued to stare at him, and her mouth may have been hanging open a little. She actually wished for the ability to teleport out of the room. Grey eyes, the color of a winter sky before a storm, scrutinized her. More than powerful in color, sharp and penetrating, like an X-ray. Rhys was big, bigger than she remembered, taking up all the space behind the half-round table. His mid-length, layered dirty-blond hair and tanned face and neck made her think of sun and sand at the beach. His face had gone from friendly to wary as she gawked at him. No man should be this good looking, which should be irrelevant because he’d always been good looking. After all, he had been voted biggest flirt and most likely to meet you under the bleachers back in high school. All the forgotten feelings she’d had for him slammed into her at once. Puppy love, like, lust, frustration, admiration, desire—all emotions she’d experienced at one time or another and, some, really not so long ago. Turning, she slammed straight into her mother, who held a full pot of coffee. The hot liquid splashed onto Kate’s chest and soaked into her shirt, steaming her skin underneath. Heather M. Gardner’s love of books began on the hand-woven rugs of her small town library where her mother worked. There she had a never-ending supply of stories to read at her fingertips. 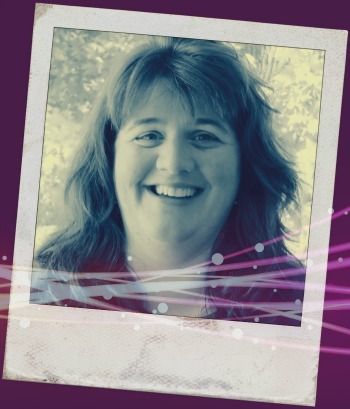 As a teen, her favorite genres to curl up with were romance and mysteries. When she started to create her own stories, they were the perfect fit. Heather resides in New York with her best friend who is also her husband, plus her talented and handsome son. She is currently owned by four stray cats. Heather’s a full-time mom, works part-time from home, a chocolate enthusiast, coffee junkie, cat addict, book hoarder and fluent in sarcasm. 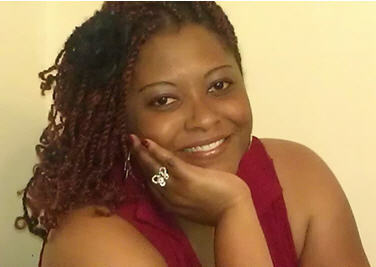 It’s always a pleasure having author M.J. Kane visit my blog. Today she’s going to tell us about her latest release to The Butterfly Memoirs. Okay, M.J., take it away! Thank you, Sharon, for letting me come by and share a bit of my latest release, Nobody’s Business! 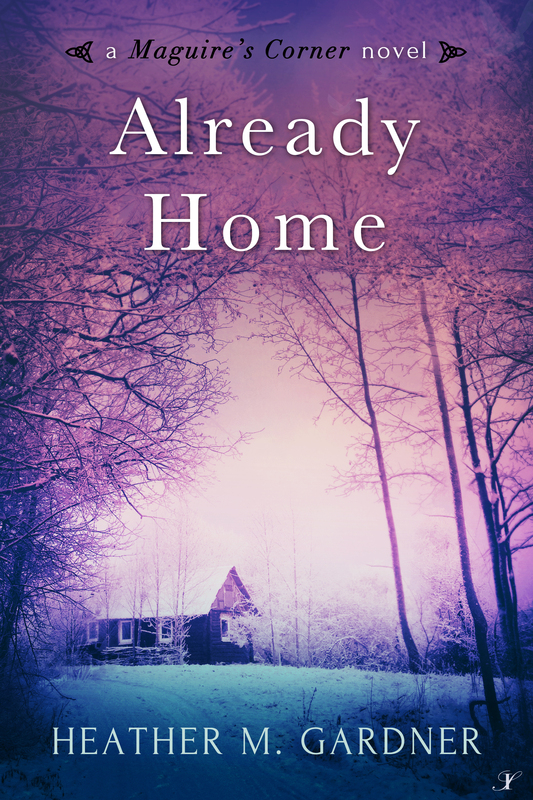 I love the books that Sharon writes, mixing Suspense with Romance, and strong female characters whose career choices have lead them to non-typical jobs (female plumber anyone?) For the female lead in this story, I decided to give her a non-stereotypical job, too….female firefighter. In this snippet we see Kai Malone doing her job, fighting a fire in the middle of a rain storm. The conditions are life-threatening and a family is in need of help….enjoy! “Malone, you’ve got ladder! Lopez, back her up,” my captain yelled. I tightened my helmet and did a quick double check of my gear. “Ready, Malone?” Lopez slapped my back. We waited impatiently as the truck maneuvered into position as close to the apartment building as it could get, then extended the ladder. The moment it connected with the first window seal, I ran to the base and grabbed hold of the wet railing. While my boots were water resistant and had extra grip to keep me from slipping, that didn’t make the task easy. I forced myself to breathe easy and focus on every step I took. I had faith in my equipment, but no matter what measures were taken to make my job safer, human error could always screw things up. Lopez was on the ladder behind me as my back up. We moved systematically from window to window. I used my ax to break the glass and yell inside before we climbed through to make a quick search for anyone who may be unconscious, huddled in a corner, or in a room behind closed doors. So far, it appeared everyone was out. After what felt like forever, we had two apartments left. I held on and braced myself as the ladder moved to the next window. I broke the glass and yelled before leaning in to repeat my call. I was about to step across the threshold when Lopez grabbed the back of my jacket. “What?” I stepped back onto the ladder, taking extra precautions to keep from slipping. He pointed to the final set of windows before using his radio to alert the captain of the situation. The sight made my heart freeze. A woman covered with soot leaned out of the window with what appeared to be a young child in her arms. A heavy curtain of smoke wafted out the opening behind her while bright red flames silhouetted her frame, meaning the fire had to be in the room she was in. I held on tight as the ladder moved. The minute we got within range, I reached for the child. Fear and relief were evident on the mother’s face beneath the soot and grime. “Please, help him, he’s not breathing!” she said between heaving gasps and coughing. I took the child from her; he was limp in my arms. I tried to be as gentle as I could, but unconscious, his limbs flailed around as if he were a rag doll. With my gear on, there was nothing I could do in order to resuscitate him. Adrenaline pumping in my veins, I turned to my partner and handed him off. He took the young boy in his arms, balancing his weight while taking each step down the ladder as fast as he could under the dangerous conditions. I turned to the woman who now gagged repeatedly. 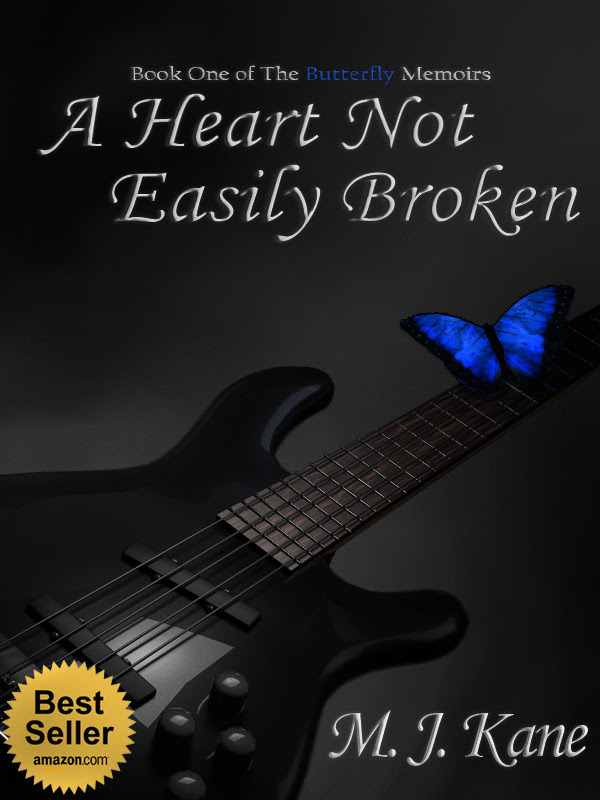 Her face was streaked with tears that mixed with black soot. She nodded and focused on me. I held my hand out and encouraged her to step out of the window and onto the ladder. Her feet were bare and she bore the evidence of someone who had been fast asleep when disaster struck. Though she had stopped crying, it was obvious she was scared. Once on the ladder, she froze. “I’m scared of heights!” Her fingers seemed to be fused to the wrung and her body was curled up tight. “It’s okay, I promise. I know it feels odd on this ladder, but we aren’t that far from the ground, it’s all a matter of prospective.” That didn’t help any because she now whimpered. Glass broke in the distance, and it wasn’t from someone trying to be rescued. It was the sound of something exploding due to the heat. That was not good. This woman needed a distraction in order to get her to move. While I was trained to carry an unconscious person wherever I needed them to go, trying to carry her under these rain soaked conditions would not be smart. She was conscious and able to move on her own. She just needed motivation to get her feet going. Away from the smoke, I got a chance to see her face, and in the back of my mind, she seemed familiar. A chill went down my spine as I looked back down at the scene below; the paramedics were still working. Lopez stood nearby watching. He looked back up at me and his head nodded ever so slightly. Oh God. 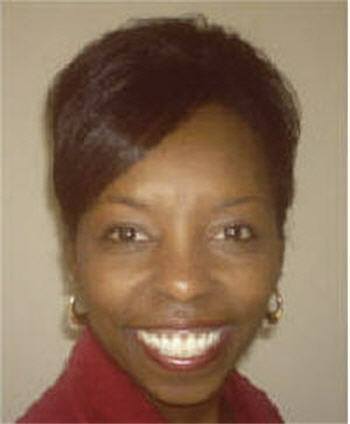 If my memory served me right, Justin was Trevon’s son…and this was his mother. I may have only seen them once, but their faces had been imprinted in my memory. Trina twisted around again to see her son. God…this really was Trevon’s family. My words got her moving. It wasn’t fast enough, though. Between her wracking coughs from smoke inhalation and the slippery equipment, my job was to stay behind her and aid her in the descent. Halfway down, she slipped and fell into me. I managed to catch myself, but the sudden weight of her body added to the weight of the gear on my back forced me to lose my footing. I grabbed onto the ladder, thankful for the safety clamp I had strapped to the railing, and stopped both of us from falling. Unfortunately, the sudden twist shot a pain up my spine and made me curse. I worked through the pain, guiding her down as fast as I could. Instead of focusing on the pain, I thought about the little boy waiting at the bottom of the ladder who needed his mother. The moment my foot touched the ground, I handed her off to another set of paramedics, then started stripping off my gear. “What about you?” He helped me remove my oxygen tank. “I’m hurt. I need a medic.” I gave up on hiding the pain and sprawled out on the ground. Rain poured on my face, so I did my best to turn on my side. Lopez aided me in the maneuver then shielded me from the rain with the coat I had ripped off. Two seconds later, and the paramedics were on scene to check me out. I yelled as they sat me up. My captain walked over to assess the situation. The paramedics’ fingers ran down the length of my spine, poking and prodding. I yelled when he hit my lower back. “Nothing’s broken, but you need to go to the hospital and get some x-rays.” He signaled for his partner to bring over a backboard and stretcher. 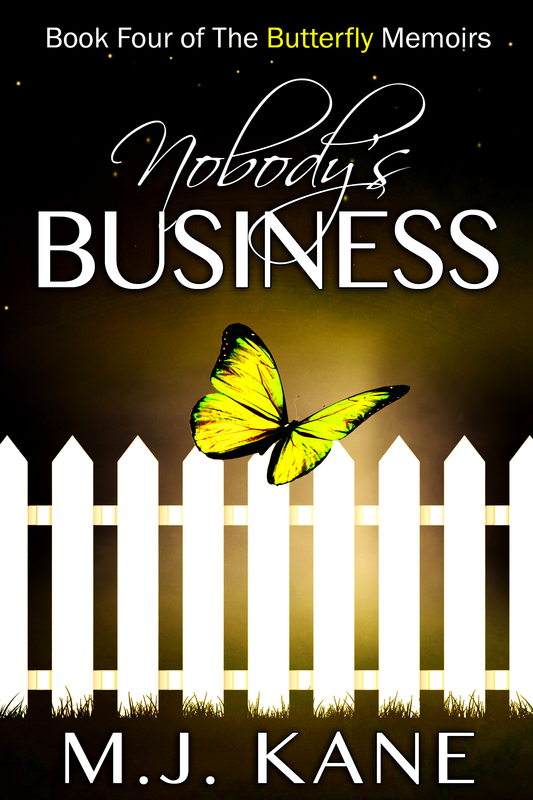 Nobody’s Business (Book Four of The Butterfly Memoirs)- Available July 2, 2015! M.J. Kane stumbled into writing. An avid reader, this once stay at home mom never lost the overactive imagination of an only child. As an adult she made up stories, though never shared them, to keep herself entertained. It wasn’t until surviving a traumatic medical incident in 2006 that she found a reason to let the characters inhabiting her imagination free. Upon the suggestion of her husband, she commandeered his laptop and allowed the characters to take life. It was that, or look over her shoulder for men caring a purple strait jacket. And the rest, as they say, is history.